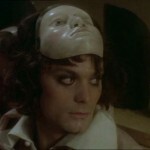 Were it not for the well-sustained intermedial formula that characterises Ariane Mnouchkine’s Molière, ou la vie d’un honnête homme (France, 1978), the film might appear to a distracted viewer as little more than a big-budget movie displaying an above-average predilection for carefully composed tableaux. The director of the film is a well-known and lauded theatre director, founder and primary force behind the company Théâtre du Soleil. 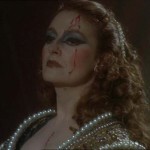 Her troupe was intimately involved in the production of the film, supplying the bulk of the main cast and bringing to the set its collective experience of the stage. The meeting between the film crew and the theatre company has been described by Mnouchkine as an “apprentissage réciproque” or shared learning process. According to Mnouchkine, film and theatre should be seen as mutually beneficial, as “the craft of theatre has everything to gain from certain cinema technology … and the vast technology of cinema has much to gain from finding solutions involving paper, thread, glue, bits of silk …”. 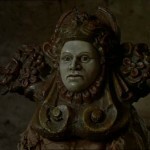 The décor of the film, closely replicating the feel of Dutch seventeenth century painting, was expensively put together by a team led by Guy-Claude François, and it ended up being very much a showcase of artisanship—as was the large number of masks employed by the film, designed by another important member of the Soleil team, Erhard Stiefel. This set of specifications (a theatre director working in film with a theatre company to tell the story of another theatre company), albeit highly promising, does not guarantee on its own the intermedial complexity of the project. The concept of intermediality can encompass a wide range of concerns without overreaching itself. Any phenomenon that involves a relation between two media can, in a very generous sense, be a legitimate object of enquiry for intermediality. 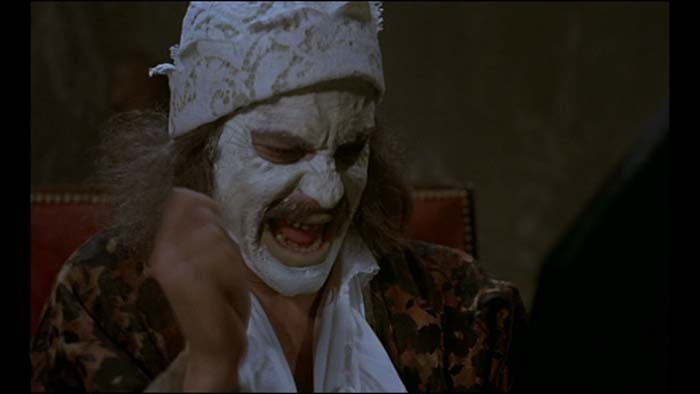 The study of theatricality in film is thus easily subsumable within this relatively recent problematic. Theatricality can have multiple understandings, ranging from the mere referencing of theatre to what is called in intermediality theory a “formal intermedial imitation”, namely an “attempt to shape the material” of a medium “in such a manner that it acquires a formal resemblance to typical features or structures of another medium”. It will be the purpose of this analysis to identify and examine those sequences in the film which best hypostasise the idea of a deliberately weakened distinction between theatre and theatricality, a strategy oriented towards a cinema audience. The second example of a scathing review comes from the French press. In Positif, Jean-Paul Török treats the film as a series of “extravagant dioramas”  and remarks that “like many theatre practitioners before her, accustomed to despising the text and fascinated by the power of cinema, Ariane Mnouchkine believed that the magic of the mise en scène exempted her from writing a good script”  —a script in which the reflection on theatre would be substantial and carefully thought through. The carry-overs from theatre detected by critics are, however, not an embarrassment if analysed from an intermedial point of view. I shall argue that, although some of the film’s solutions are influenced by Mnouchkine’s theatre practice, they are not meant to antagonise a cinemagoer. They are designed for the film spectator, who is thus invited to contemplate a world constructed in the likeness of theatre. 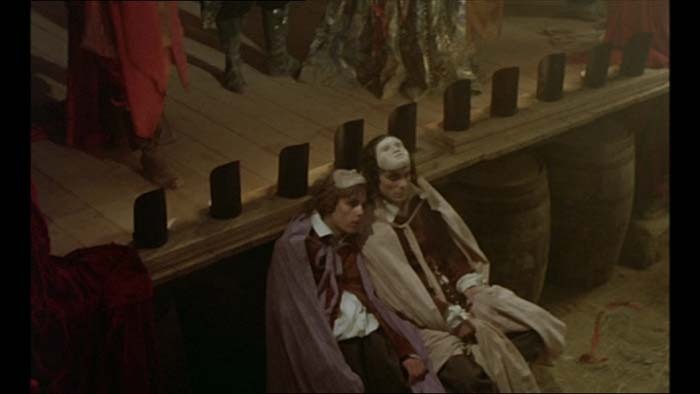 I shall also concentrate on Mnouchkine’s understanding of theatricality and on the extent to which we can identify it at work in the film. Molière presents in chronological succession several largely undisputed biographical facts about Jean-Baptiste Poquelin, aka Molière: the premature death of his mother; Molière’s refusal to take up his father’s trade; the studies in law; the decision to work as a tragedy actor and his subsequent career in theatre; the marriage to Armande Béjart; and his death that occurred during a performance of Le Malade Imaginaire (The Imaginary Invalid). Molière’s theatre record is recounted beginning with the acting job for the Béjart company, through the founding of the Illustre Théâtre and the bankruptcy setback, continuing with the touring of the provinces alongside the Dufresne company, up to the patronage of Prince Conti and, later, of the king’s brother (‘La Troupe de Monsieur’). Financial gain and critical acclaim grew steadily during this last, courtly phase. 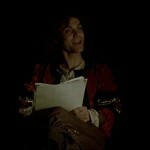 This was also the period when Molière’s satire became more pointed and, thus, more liable to censorship. 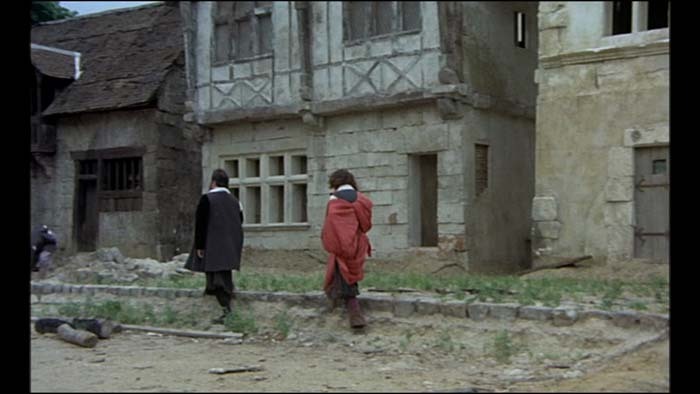 During one of Molière’s first official performances in the film, witnessed by his father, we are shown not only this type of spatial arrangement but also the “socially mixed” audience who used to fill the theatres of the time. 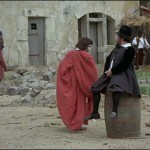 The film places heavy emphasis on the “cross-fertilisation of French farce and the commedia dell’arte”  and their combined influence on Molière. Two events in particular are indicative of this many-sided formative process. 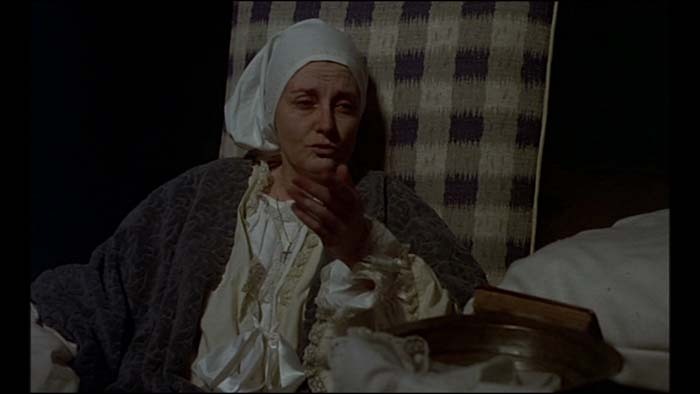 After his mother’s death, the young Poquelin is taken by his grandfather to see an open-air performance. This marks the first encounter with Scaramouche, the character invented by the Italian Tiberio Fiorilli, an actor with whom Molière will much later share the Petit Bourbon theatre. In Mnouchkine’s cinematic account of Molière’s life, these two meetings are joined across time and nominated, together with the busy life of the streets and the carnival, as shaping examples for Molière’s plays. 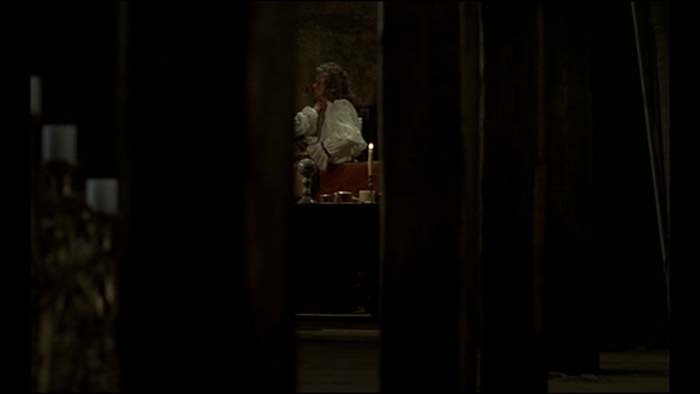 The first image of Molière[…] is that of a tired serving woman making her way down a dim corridor. The image turns into what is virtually a sequence, which is the habit of this film that stretches things out without creating tension. 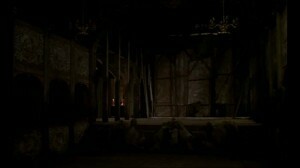 The woman comes out of the corridor, crosses the empty arena of the theater and goes up a few steps. Then she walks down another dim corridor. The camera follows her expectantly, as if waiting some revelation from a silent sigh or an imperceptible limp. It waits. We wait. Nothing. It just goes on. The privately rehearsed scene belongs to the first act of the play, namely Argan’s impatience with his maid Toinette. Molière begins recomposing Argan with a few grimaces and a shaking fist, and a croaking voice is soon heard as if it were somehow conditioned by the jerking movements. The voice he manages to summon becomes more and more grating as the character’s anger flares up. The transformation is all the more powerful for its steep increase of intensity, but it does not manifest itself as a continuous progression; rather there are backslides and restarts. 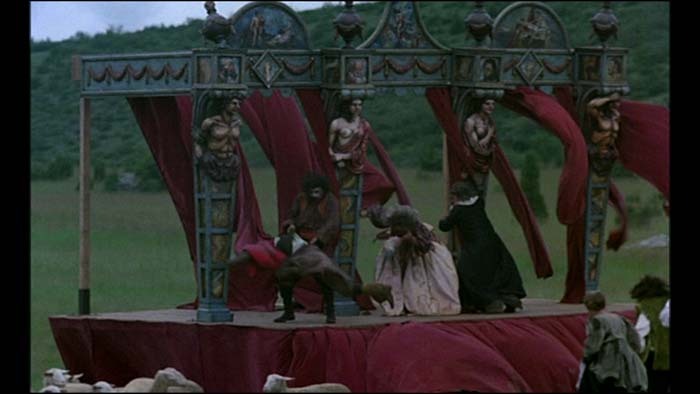 The film retains only the beginning and ending of the performance that follows this brief rehearsal. Argan rings his bell and the play is then fast-forwarded to the concluding gypsy dance of Act Three. 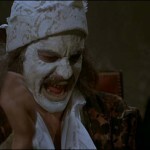 Partially hidden from view by the ring-dance, Molière is sighted expectorating blood and losing consciousness, but the surrounding musical racket occasionally resuscitates him into acting. 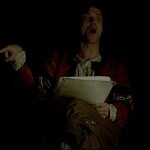 He faints out of character with a frequency matched only by the bouts of coughing preceding the performance. Thus, the theatrical transformation revered by Théâtre du Soleil is represented both at its onset and articulation, and in its dramatic breakdown—its disarticulation. In Richardson and Miller’s compendium of practical exercises used in Théâtre du Soleil, one working hypothesis is that the language of motion can transform an empty space into the specific locations of a play. To this end, actors are asked to walk as different characters, to try on different bodies, asked to imagine and perform “how a king walks through an empty palace or through a forest or through an assembly… or through a battlefield after victory and after defeat”; or, alternatively, “how a young woman walks through a holy temple or through the door of her secret lover’s house or through the town square at night or to school through a busy street”. 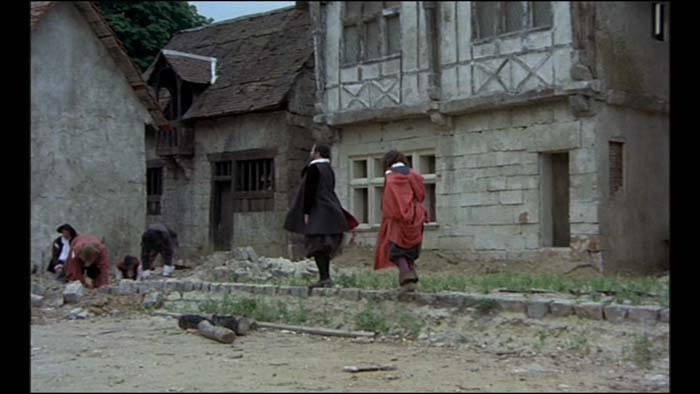 The maid’s walk at the beginning of the film might be tediously persistent but it is also, in light of these exercises, a study of walking as a maid in a medium which otherwise has little use for invisible, actor-generated décor. Moreover, it is not an isolated example. Later, the camera stays with Cardinal Mazarin as he treads a stately room up and down, waiting to salute the new child king. 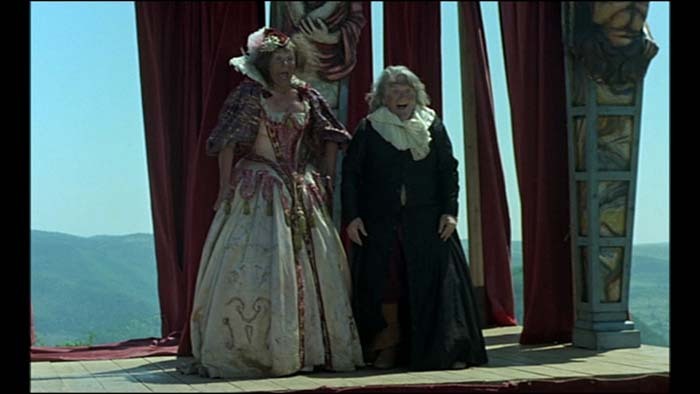 After his unpopular first performance with the Béjarts, Molière has a yelling row with his father, which begins with Molière striding insolently around the very bourgeois looking Jean Poquelin (Armand Delcampe). During the argument, each of them belittles the other’s profession in an exchange of misnomers and of amusing discourtesies: the senior Poquelin calls his son a “street acrobat”, a “juggler” and a “puppeteer”, while the young Poquelin mockingly intonates: “And what are you? An upholsterer!” The argument begins with a defiant gait and ends with a reconciliatory walk (Fig. 6). Poquelin the father starts walking away, with one foot on the ground and the other on the elevated curb, a curiously unbalanced ambulation which his son is quick to mimic (Fig.7, 8). 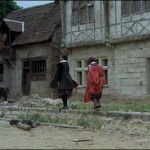 Molière simulates, in a Chaplinesque manner,  his father’s every movement; he walks, stops and turns with a mirroring attitude and precise timing. This act of filial mimeticism defuses a situation that appears to be characterised by irreconcilable differences through a comedic revelation of similarity. The sequence could also be read in relation to another Mnouchkine principle: “Observe life and you’ll see it’s not realistic”. 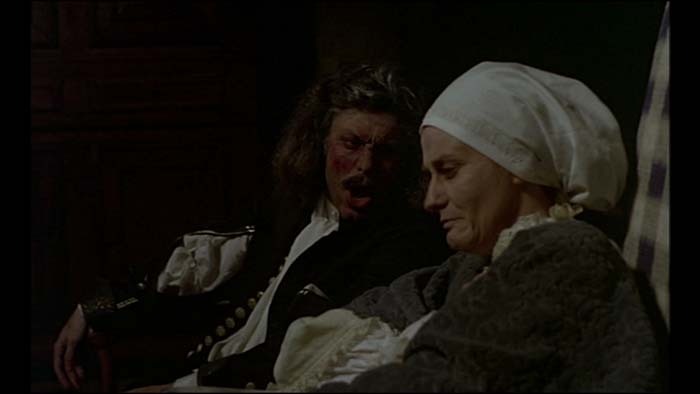 In the film’s childhood section, we are encouraged to think of Molière as constantly surrounded and captivated by games and incidents of a markedly theatrical nature. 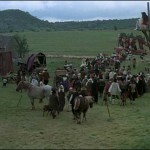 During one such episode, he watches from a balcony the spectacle of two carriages blocking the road. The coachmen—facing one another and debating the right to pass, whether it belongs to the Duke of Pernes or to the Duke of Villeboeuf, their respective masters—are cheered from the sides by their fellow townsmen. The traffic jam is accompanied by escalating agitation; the whole scene, presented as a fragment of imagined biography, functions like a sample of street theatre, satirising both the members of nobility, tangled up in unarbitrated privilege disputes, or (in other words) trapped in its own rusted mechanisms, and also the servantry, on its high horse, fiercely defending a meaningless cause. 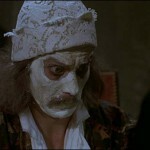 Theatricality is perhaps most obviously channelled by the use of masks. 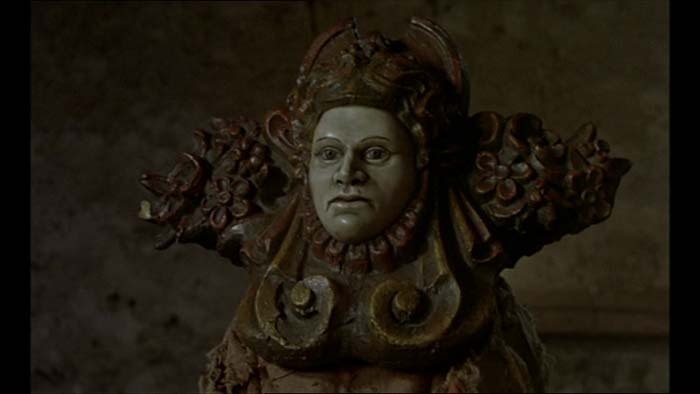 In Mnouchkine’s theatre, “working with a mask is the first step toward discovering theatricality”, because the mask, “like a divine object, catalyses the actor’s transformation”. The carnival segment is a striking display of various masks and costumes, intended by Mnouchkine as a truly ‘European’ carnival for which research was conducted in “Spain, the North, Flanders, the Eastern countries”. 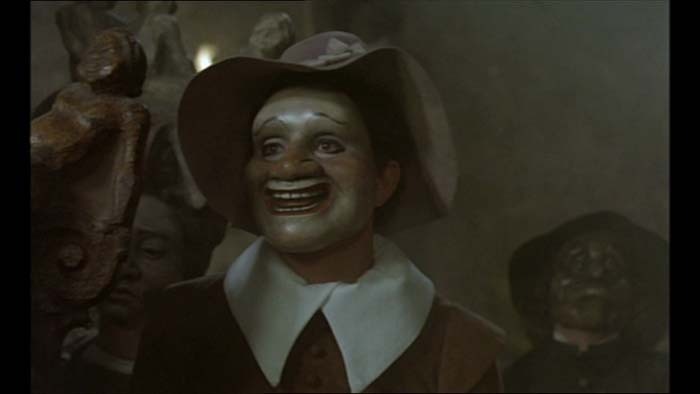 I shall concentrate on the concluding sequences of the carnival section, starting with the image of the slashed mask, in an attempt to further interrogate the (im)possibility of telling theatre from theatricality. 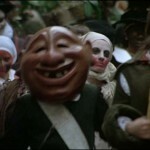 Following Mikhail Bakhtin, the carnival is usually theorised as a “licensed misrule, a contained and officially sanctioned rebellion”,  which, irrespective of its numerous offenses and transgressions, is allowed to unfold unhindered. 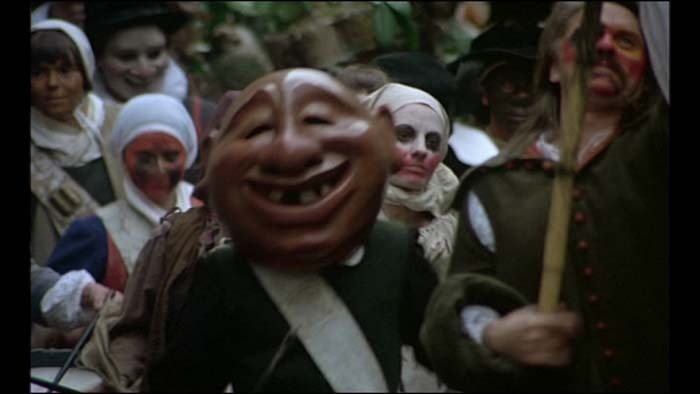 In Molière the carnival, despite being briefly triumphant, ends up brutally suppressed. 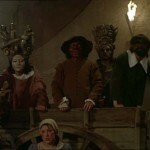 The film lingers discreetly on this popular feast of unbridled manifestation (Fig.9, 10). 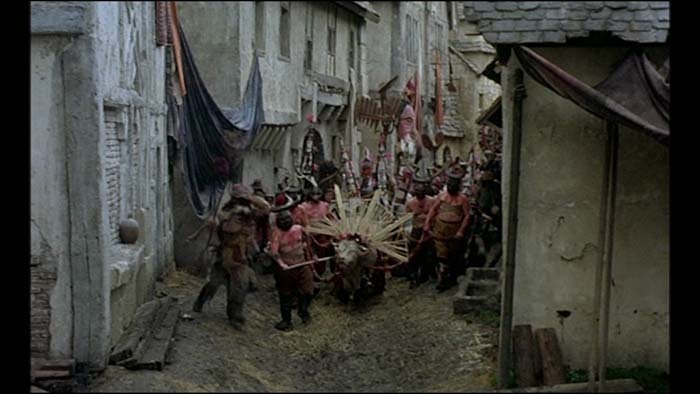 Despite being forbidden by the Order of the Holy Sacrament, the carnival floods the streets of Orléans, initially outflanking the small police force sent to enforce the interdiction. Mnouchkine’s camera zooms in on the crowds, showing them coming together in mingling and crisscrossing currents. The ultimate breach of rules is triggered by the arrival of the tax collectors. Galvanized by their feeling of togetherness, the crowds inflict an exemplary punishment: the collectors are smeared with tar, covered in goose feathers and thrown into the Loire. Retaliation is quick and merciless: attacked by a mounted troop, the crowds beat a retreat and are decimated in the process. The instant military response catches the carnival enthusiasts unawares; they are shown dying with their masks on. 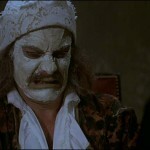 The close-up of the slashed mask is especially noteworthy. (Fig.11). A cut running from the right eye downwards, slicing the cheek, turns the mask into an abstract image of death. 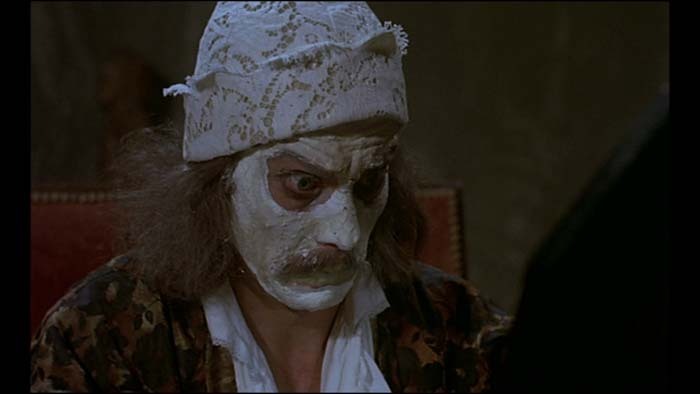 The gaping wound of the mask is but a dark groove which reveals nothing of the bleeding and still breathing face underneath. 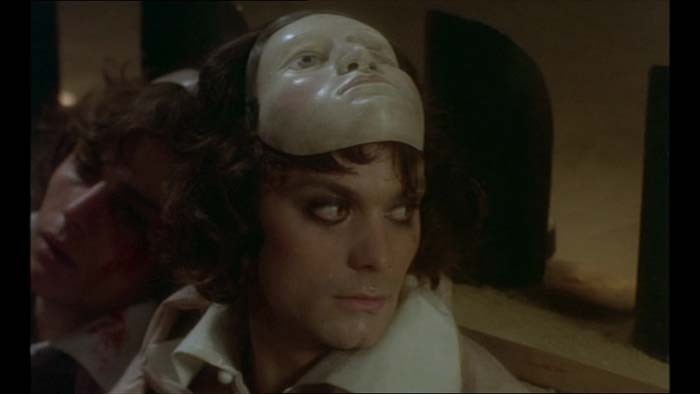 The image is reminiscent of Gordon Craig’s contrasting analysis of the mask and the face: while the mask carries “conviction”, the actor’s face is “frail, restless, disturbed and disturbing”. 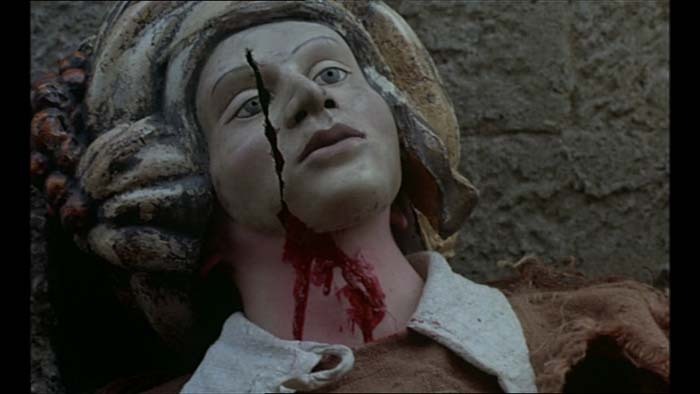 The gory disclosure that the filmic device (close-up) would have achieved is neutralised by the artifice of theatre, and the resulting image works as an example of the collaboration of the two media. 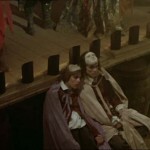 The whole sequence relies for its potent effect on an inversion: for the film spectator, the theatre audience is the spectacle and the heightened theatricality of its masks is more appealing than the tricks of the stage. 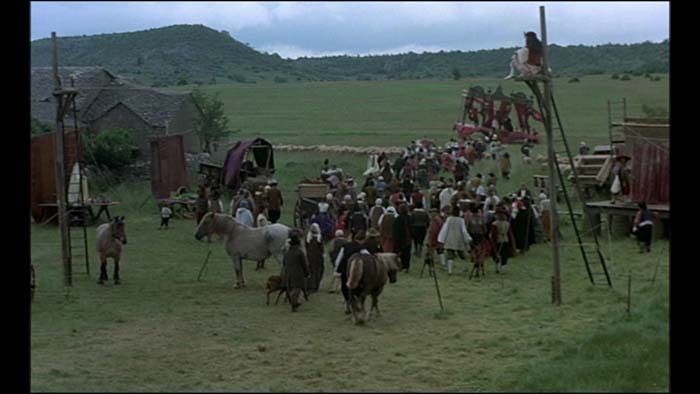 The inversion is all the more efficient for being cognate with the very logic of the carnivalesque, namely a “systematic reversal”,  whereby hierarchies are abolished and “the slave and jester become substitutes for the ruler and god”. 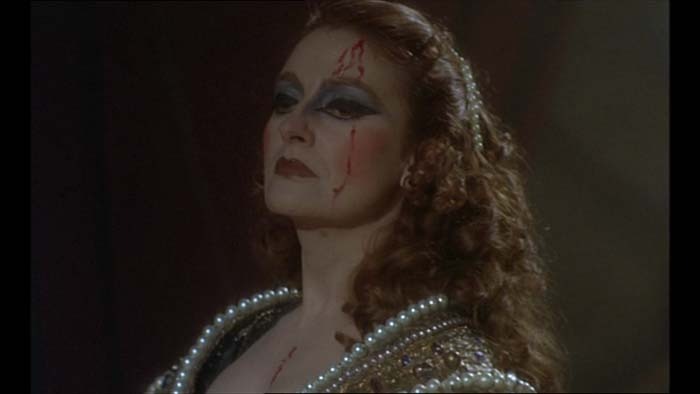 The end of the sequence restores the rules of the spectatorial game; Molière, not yet an actor himself, turns towards the stage and gazes upon the leading actress of the play, at her lofty appearance, lavish attire, and the rivulets of fake blood painted on her impeccably made-up face. 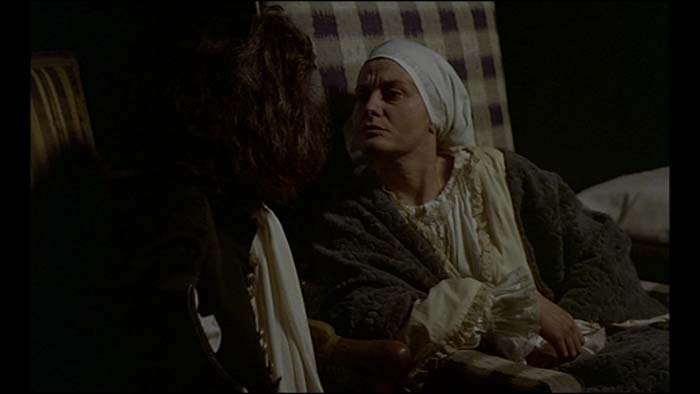 (Fig.16, 17) Within the economy of the film, the moment seals Molière’s fate, as it is at this point in time that he decides to join a life of dedicated illusion. 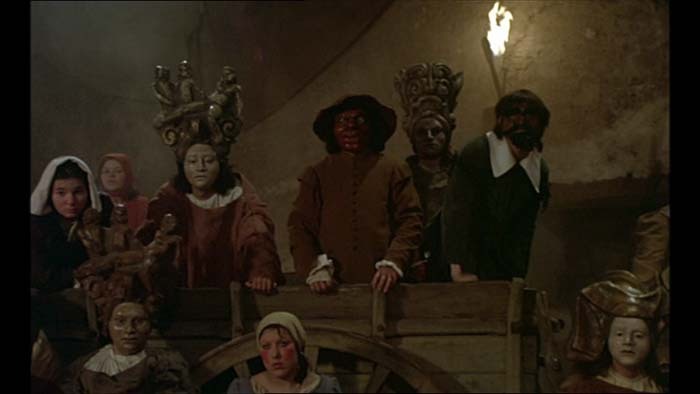 For David Bradby, the spectacular sequence of the flaming wagon is “a dream-like metaphor for the discovery of theatre”, the discovery of “a utopian world of brilliant images, colourful masks and harmonious social relationships”. The theatre blown by the wind is a multi-purpose example. 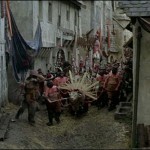 Not only does it epitomise Bradby and Kiernander’s idea of a spectacular scene but it is also, more intriguingly, a good illustration of a key filmic strategy: portraying theatricality as an irresistible impulse, never too far removed from its original source (theatre) and inspiring us to see it as an unbounded phenomenon. The strategy is detectable elsewhere in the film. My final two examples concern the manner in which the reading and the writing of a play are theatricalised. The film includes at least two sequences which conform to this model of creative partnership which Mnouchkine, too, embraces. 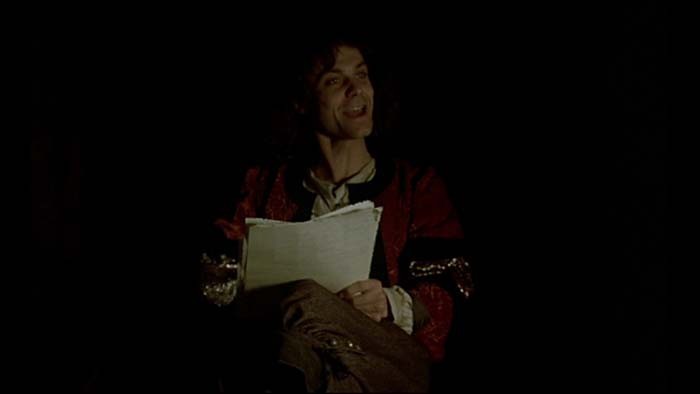 Early on in ‘Deuxième époque’, Molière is shown reading his new play, L’Étourdi ou les Contretemps (The Blunderer) to the assembled cast of actors and, at a later point during this second part of the film, we see him experiencing a writer’s block with another play, The Imaginary Invalid, an impasse that Madeleine Béjart is helping him overcome. Both sequences take place in minimal settings. 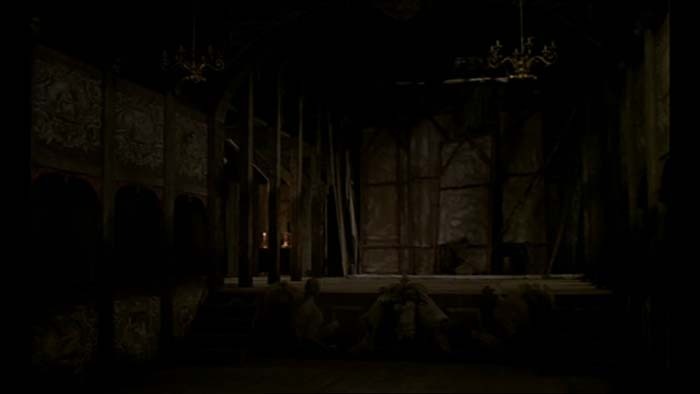 The darkness surrounding the actors is reminiscent of both 17th Century chiaroscuro painting and a theatre environment during a performance, with the actors achieving visual prominence against and because of the complete obscurity of the auditorium. (Fig.21) On both occasions, Caubère’s Molière uses his physiognomic versatility to make the words jump off the page and out of memory into the space of the viewer. 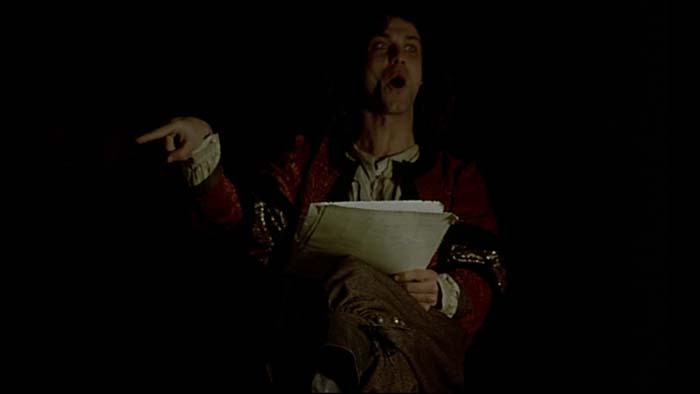 During the read-through, the predictability of a rhyme causes the playwright to turn actor, energising and accentuating his lines as he would in performance. (Fig.22, 23) In a term favoured by Mnouchkine (again via Lecoq), Molière produces a partial, first draft écriture corporelle, priming the actors for their future acting task. A text generated from another text with the assistance of an actor, the scene is a plea for collective creation. Mnouchkine herself relies extensively on actors for creative input and, at least in her theatre work, privileges a flexible approach whereby the casting is not decided until a late stage; rehearsals are carried out by the so-called “locomotives”, namely “actors who will rotate the major roles”. Especially fond of Asian techniques in her theatre practice, Mnouchkine has tremendous experience in intercultural borrowings and exercises which bridge different periods in (theatre) history. 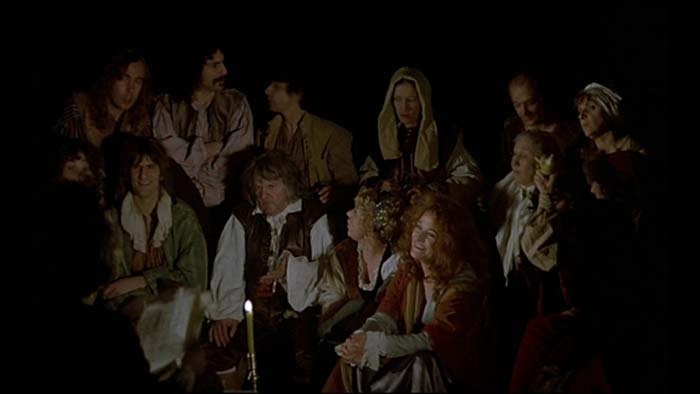 Her Molière is a biographical venture with an intermedial twist, which reveals as much about seventeenth century theatre as it does about Théâtre du Soleil. Interview with Ariane Mnouchkine, Molière DVD (Bel Air Classiques, Harmonia Mundi, 2004), ASIN: B0006A7WA0. Werner Wolf, “Intermediality”, in The Routledge Encyclopedia of Narrative Theory, ed. by David Herman, Manfred Jahn and Marie-Laure Ryan (London: Routledge, 2005), p.255. Interview with Ariane Mnouchkine, DVD Molière. Jean-Paul Török, “L’informe et le spontané”, Positif, 211 (October, 1978), p.58. Adrian Kiernander, Ariane Mnouchkine and the Théâtre du Soleil(Cambridge: Cambridge University Press, 1993), pp.98-99. David Bradby, Modern French Drama, 1940-1990 (Cambridge: Cambridge University Press, 1991), p.208. Jan Clarke, “The Material Conditions of Molière’s Stage”, in The Cambridge Companion to Molière, ed. by David Bradby and Andrew Calder (Cambridge: Cambridge University Press, 2006), p.16. 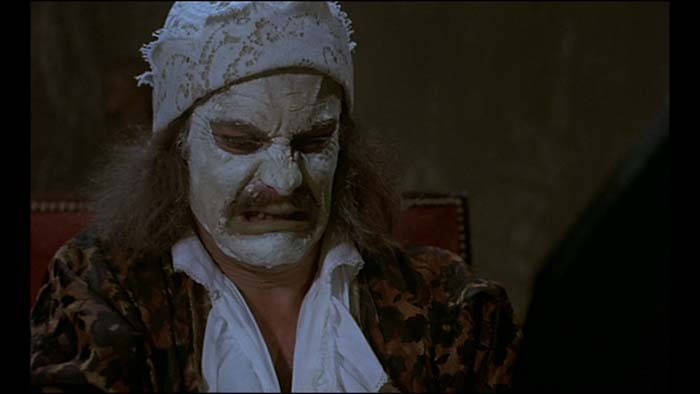 Stephen Knapper, “The Master and the Mirror: Scaramouche and Molière”, in The Cambridge Companion to Molière, p.41. 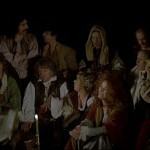 Vincent Canby, Review of Molière, The New York Times, 04/10/1979, at http://movies.nytimes.com/movie/review?_r=1&res=9F0CE5DC1438E432A25757C0A9669D946890D6CF, retrieved in September 2010. Judith G. Miller, Ariane Mnouchkine (London and New York: Routledge, 2007), p.112. David Bradby, “Cultural Politics and Theatrical Practice in the History of the Théâtre du Soleil”, in The Paris Jigsaw: Internationalism and the City’s Stages, ed. by David Bradby and Maria M. Delgado (Manchester: Manchester University Press, 2002), p.113. 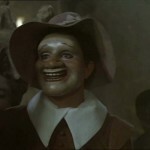 The face whitened with flour is considered “Fiorilli’s great innovation to the commedia dell’arte”, possibly also the origin of “the unmasked performance in neo-classical comic theatre”. See Knapper, pp.41, 45. Mnouchkine has declared that she sees Molière as a precursor of Charlie Chaplin; see DVD interview. 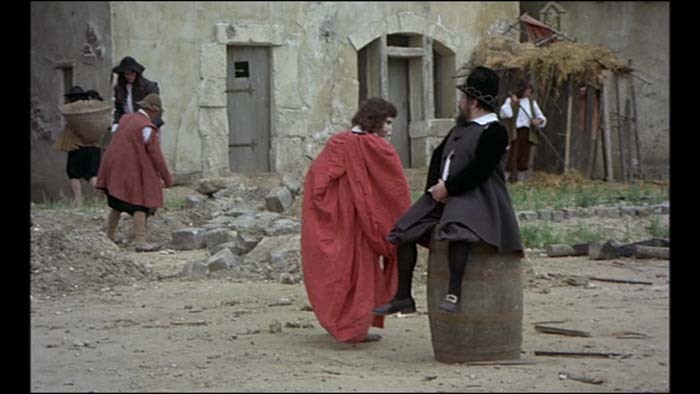 It is interesting that this vision of the stylistic antecedence of Molière in relation to Chaplin is realised in the film by having the character of Molière adopt one of the signature performances of his successor. Gordon Craig quoted in E.T. Kirby, “The Mask: Abstract Theatre, Primitive and Modern”, The Drama Review 16:3 (Sept., 1972), p.8. Bradby, Modern French Drama, p.209.